If you love cheese, this is absolutely the dish for you. 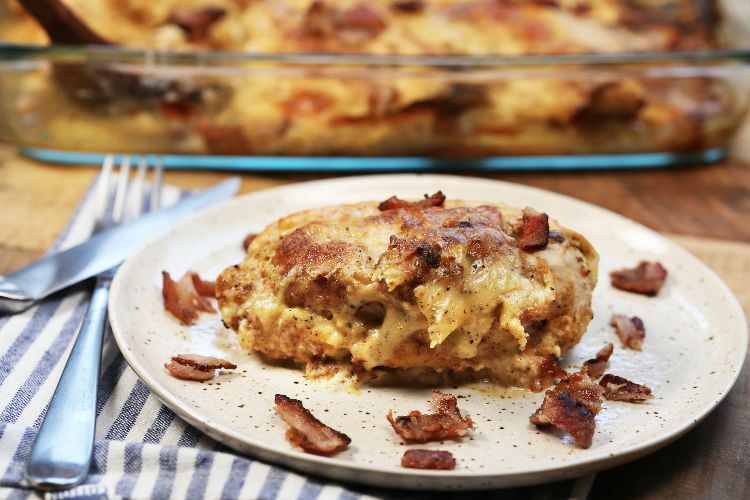 Not only are the chicken breasts in the recipe below stuffed with a gooey mixture of four different cheeses, but they're also topped with even more cheese, not to mention crispy bacon. Cook the chicken breasts in bacon grease for even more bacon flavor. For the cheese mixture, we recommend a blend of cheddar, jack, pepper jack and cream cheese, but you can change it up and use whatever cheeses you prefer. Slice a pocket widthwise into each of the chicken breasts, being careful to not cut completely through any of the three sides. Set aside. Cook the bacon in a frying pan until very crisp. Reserve the fat and chop the bacon. Set aside. Heat the butter and flour over low heat in a pot. Whisk together and cook for about 1 minute. Slowly drizzle in the milk, whisking all the while. Bring the mixture to a boil and cook for 3 minutes, until thick. Season with salt and pepper, and whisk in 1/4 cup each of the cheddar, jack and pepper jack cheeses. Set aside. In a bowl, combine the garlic powder, onion powder, cream cheese and the remaining cheeses. Stuff each of the chicken breasts with the mixture. Beat the eggs with just a touch of water. 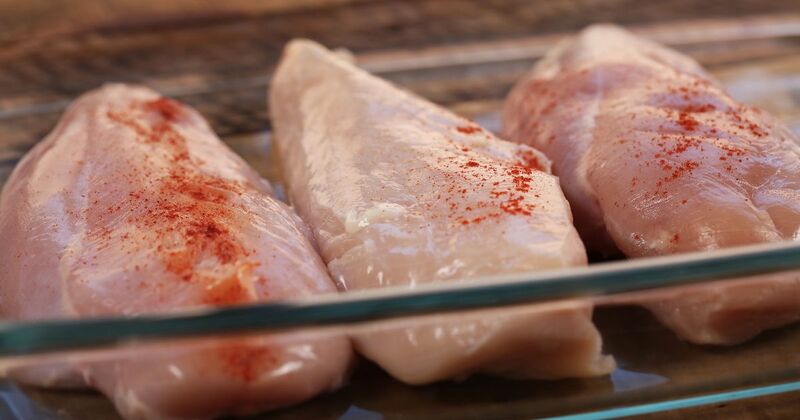 Season the chicken breasts with salt and pepper, and dip each of them first in the eggs and then in the breadcrumbs. Heat the bacon grease in a frying pan. Add the chicken breasts and cook 2 minutes per side, or until brown and crisp. Place the chicken into a casserole dish. Top with the cheese sauce. Bake for 40-50 minutes until chicken is fully cooked. Remove from the oven and sprinkle with the bacon. Serve immediately.